Porvair GasPro™ Flow Restrictors are designed with hundreds of small, interconnected pore passageways which offer significant benefits when compared to single bore restrictive flow orifices. Flow limiting devices are often installed in compressed gas supply lines and gas distribution manifolds to prevent unintentional high gas flow caused by a ruptured gas line, malfunctioning valve or pressure regulator. Porvair GasPro™ Flow restrictors protect components and offer a possible replacement for needle valves and MFCs in constant pressure and flow applications. Flow Restrictors can reduce exhaust system requirements and offer significant cost reduction. Flow restrictors can be custom made for each gas supply line. Controlled venting flow rate during vacuum chamber venting or purging. For the prevention of pressure surges and pressure shock. Flow restrictors can also be designed to create a barrier to quench a flame and prevent the flame from igniting a combustible gas. Porvair GasPro™ Flow Restrictors limit the maximum flow when handling hazardous gases. 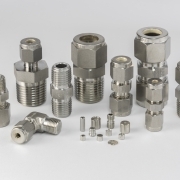 Flow restrictors are individually calibrated for accurate, repeatable flow with a set pressure. They provide a fixed flow without moving parts or adjustments. 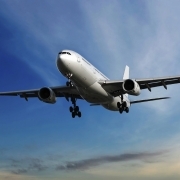 To reduce turbulence in gas lines and for low velocity gas delivery applications. Porous and hardware fitting materials 316L stainless steel and Hastelloy® C22. Precision welding of surface mount and flat gasket flow restrictors in a controlled atmosphere glove box system to eliminate oxidation colour. For safety and to insure seal integrity. In reagent grade IPOH and deionized water flushed for maximum cleanliness. With 0.003m filtered and purified Nitrogen to remove particles and prevent shedding. To less than 1ppm moisture content as needed. With flow details for easy identification. In chemically clean, Class 100 nylon inner bag and polypropylene outer bag.